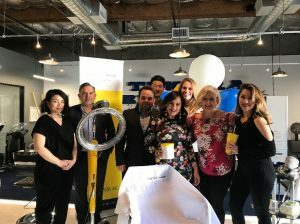 NEW YORK, NY – The most iconic names in barbering and men’s grooming will be featured at Takara Belmont’s New York showroom for the second “The Mixer NYC” event. 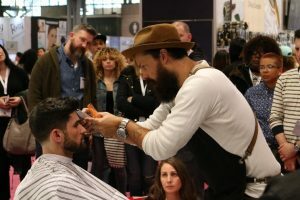 Featuring top talent in the beauty and barber industries, the event boasts headliners Julius Caesar, Matty Conrad, Julian Adler, Carlos Estrella and Mari de Monte. You’ll have a chance to connect with the some of the industry’s most skilled and reputable talent on March 11th at 6:45 P.M. at 17 West 56th Street, Manhattan, NY 10019. After a jam-packed schedule at the IBS New York trade show, you can make more direct connections at this exclusive event. In addition to mixing with top talent, guests will take home a next level upgrade kit, enjoy food & drinks with admission and experience a few live showcases throughout the evening. Each attendee will have an opportunity to take away products from Takara Belmont, Victory Barber & Brand, Mizutani Scissors and BaBylissPRO. For more information, contact Takara Belmont at marketing@takarabelmont.com or reach your local Takara Belmont showroom at www.beauty.takarabelmont.com/showrooms. 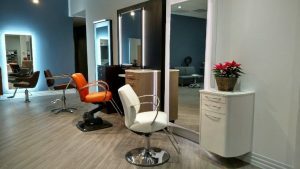 Experience Takara Belmont’s world class salon furniture at a showroom near you. Buying salon equipment is a major commitment. That’s why we’re offering to reimburse some of your travel expenses when you make a purchase from your closest Takara Belmont location. The Fly. Try. Buy. reimbursement program “Promotion” is valid on select Takara Belmont USA, Inc. (“Takara”) equipment and furniture only, purchased between July 1 – December 31, 2018 and shipped by January 31, 2019 to a location within the United States. Minimum purchase amount calculated based on Takara equipment and product purchased only; the calculation excludes sales tax, shipping and handling charges, and any other applicable fees or services. Cannot be combined with any other promotion or offers. May be combined with other sales or discounts. Purchase $20,000 of Takara Belmont equipment or furniture and receive up to $500 in travel reimbursement. Orders that exceed $10,000 are eligible for up to $300 in reimbursement. Offers may not be combined for $800 in travel reimbursement. Travel reimbursement includes airline or train ticket purchases only within a 100-mile radius of a Takara Belmont showroom or office. Hotels, taxi, and other travel expenses are excluded from the Promotion. Reimbursements are paid in the form of a check. Original receipts or clearly legible copies of the receipts must be submitted with the purchase order. Proof of ticket purchase submitted after order placement are ineligible for reimbursement. Offer only valid for legal US residents and businesses only. Limit (1) redemption per 6-month period. Only eligible for travel to our New York, New Jersey, North Carolina, Maryland, Illinois, Missouri, Texas, and California showrooms and offices. Unless specified otherwise, all products shown are listed with standard options and features only. All add-ons, upgrades, or accessories are subject to additional charge. All prices and specifications shown are subject to change without prior notice. Printed or electronic Promotion must be presented at the time of purchase. Promotion limit (1) per person. Cannot be applied to previous purchases, online orders, returned merchandise, used equipment and furniture, clearance items or other Takara services. Promotion eligible for only legal residents of the United States of America. Takara equipment must be purchased and shipped to an address within the United States. Takara is not responsible and will not replace lost or stolen receipts or Promotion materials. Void if altered, copied, transferred, resold, sold through online auction or prohibited by law. If you return a portion of your purchase, the reimbursement amount must be returned. Valid at one of Takara Belmont’s participating showrooms or offices only. Takara Belmont USA, Inc. reserves the right to modify or discontinue this program at any time. Void where prohibited by law. Additional terms and conditions may apply. Contact your local Takara Belmont USA representative to confirm product availability, specifications, pricing and terms. Extra-wide bowl and easy access: Complete with a gel headrest, guests can comfortably enjoy lengthier shampoo services and treatments. The neck-rest allowing stylists to better access the nape and other key comfort areas. Each bowl undergoes rigorous testing to meet the trials of daily use. Secure drawer with ample space: Stylists and barbers can safely store a hair dryer, 2-3 clippers, and 4 outlets in this compartment, keeping your coveted tools safe and your counter tops clear. All drawers also have soft close action, keeping appointments quieter and avoiding any startling sounds. This is especially important when working with razors and hot tools. Built-in garbage: Keep it clean with the built-in garbage can offered by the Majolica. Not only does it hide unsightly trash and odor, but its removable insert makes discarding of waste a breeze. Seamless design: Topped with solid surface counter tops, the Majolica is enveloped in a laminated exterior and black interior with 3D thermofoil technology. This seamless design prevents water from getting trapped in your cabinet’s finishes. With color and material options for the bowl itself, handles, doors, and surfaces, the Majolica is a great fit for any shop or salon. Enjoy an efficient design, a versatile, classic aesthetic, and Takara Belmont’s signature craftsmanship. Contact your local representative for more information or see it in person at our New York Showroom. 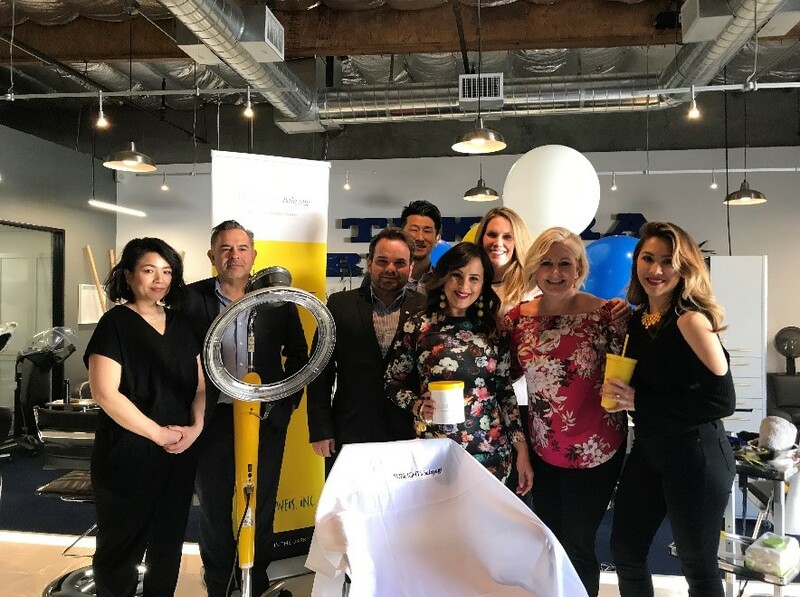 SOMERSET, NJ – In one of their most innovative product releases yet, Takara Belmont’s Legend Chair is ushering in a new wave of electronic barber chairs. With a proud Men’s Grooming lineage on display, the Legend stands out at the most iconic chair on the market. While some barbershops cater to the vintage feel, the Legend considers the modern man, thrusting men’s grooming forward into a new direction with its cutting edge technology. With extensive research and years of product development experience, it’s evident that The Legend has simply thought of everything when it comes to satisfying its customers. 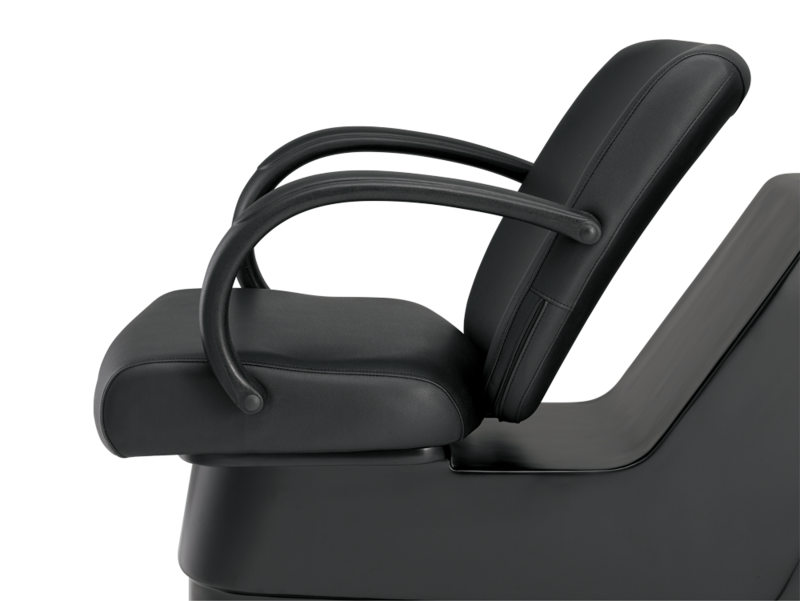 Boasting features like custom designed leather, a groundbreaking headrest, and a nearly fully horizontal recline, the Legend chair proves itself as a game-changer for both customers and barbers. Customers can finally sit in luxury for the length of their appointment – regardless of how long it may be. The Legend’s full-flat leg system keeps their whole body relaxed. With their body pressure more evenly dispersed, they may not even realize their head is leaning against a shampoo bowl to start with. Barbers and customers alike will enjoy the smooth action of the chair, as it seamlessly switches positions when turning or elevating thanks to its shock absorption technology. They can also take advantage of the add-on service tables, letting customers set their drink down and barbers conveniently rest their tools. Barbers can also take advantage of the light-up preset options, which save the positioning of their preferred settings at the touch of a button. The auto recline feature allows the chair to return to it’s upright position in a snap as well. These features are accessible on both sides of the chair for convenience, and even light up so that they can be utilized even with a cape hanging over them. Its removable footplate also allows barbers to more easily cater to the handicapped and elderly, who can step into the chair with ease. 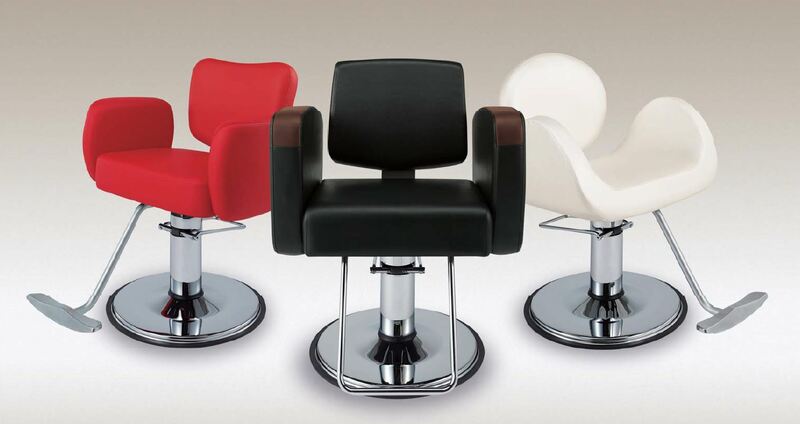 The Legend barber chair is available in two types: Standard and Full-flat. The Standard model is approximately 287 lbs. with seated dimensions measuring 36” H x 29” W x 41” D and an inner arm-to-arm width of 19 inches. Similarly, the Full-flat model is approximately 286 lbs. with dimensions measuring 36” H x 29” W x 42” D.